Change is an apt name for the Italian/American group that was formed in 1979 and conceived as a dance group somewhat inspired by label mates Chic in the waning days of disco. The group’s name could refer to a rotating roster of vocalists that included, most famously, Luther Vandross. In fact, Vandross’ performances on “Searching” and “In the Glow of Love” stand as the first time most music fans heard him as a lead vocalist -- up to that time he’d worked as a jingle singer in commercials and a backing vocalist. Ironically, Vandross did a lot of work as a backing vocalist on Change’s first two records – 1980’s The Glow of Love and 1981’s Miracles. The group also had to contend with changing musical tastes that came in the form of a backlash against disco music. The loss of a singer of Vandross’ stature and talent could have derailed Change, while the anti-disco fervor became a fatal taint for a few acts. Yet Change continued to consistently make music throughout the 1980s due in large part to the constants, such as executive producer Jacques Fred Petrus and the songwriting and production team of Mauro Malavasi and Davide Romani. The team also recruited excellent vocalists in addition to Vandross, such as Jocelyn Brown, and James ‘Crab’ Johnson. Petrus recruited Jimmy Jam and Terry Lewis to produce 1984’s Change of Heart, and that project proved to be a strong follow-up to a Sharing Your Love and This is Your Time, released in 1982 and 1983, respectively. Change of Heart would mark the last time Change achieves top 20 success, and the group disbanded after their label declined to release a record made in the early 1990s. That album eventually dropped in 2010 under the title Change Your Mind. However, that would not be the last time that music fans would hear from Change. 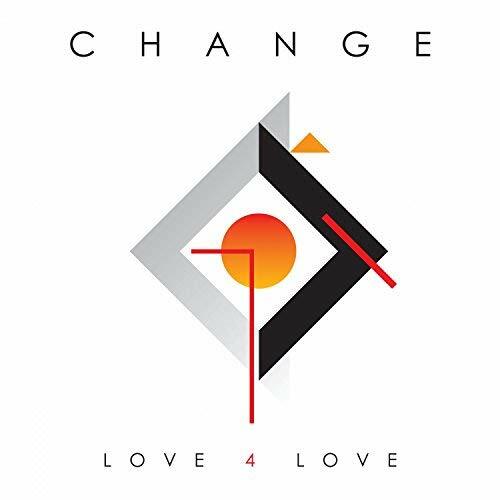 Romani and Malavasi reformed Change in 2018 and have now released the album Love 4 Love. Love 4 Love features new music, as well as remakes of cuts featured on previous Change albums – including a remix of “Searching,” new versions of “Friends,” a cut included on Change of Mind, and remakes of “Let’s Go Together” and “Oh, What a Feeling” from Turn of Your Radio. Change’s lead single, “Hit or Miss,” as well as tracks such as “All My Life,” reveal that that the group did not deviate from the formula that yielded its biggest hits in the 1980s – namely strong lead vocals and tight backing vocals. The two tracks are packaged in a mid-tempo paced arrangement case featuring a smooth yet funky bass line that is ideal for the steppers crowd. There is also no shortage of up-tempo tracks on Love 4 Love. “Make Me Go Crazy” is a percussive, synch track that feels like a throwback to some of that era’s most infectious dance tracks. Ironically, Malavasi, Romani and company flipped the script when revisiting some of cuts that appeared on older records. The best and most imaginative, in my opinion, was the 1960s lounge pop version of “It’s A Girl’s Affair” that totally reimagined the post-disco, funk version heard on 1980s The Glow of Love. Romani and Malavasi certainly want Change to appeal to a new generation of listeners, and strong tracks such as “Hit or Miss” will fall sweetly on fans of urban adult contemporary fans while numbers like “Make me Go Crazy” and “Living Monday” are both club ready. However, Love 4 Love does not ignore the band’s history and legacy, and cuts such as “Friends” and “Oh What a Feeling” will remind fans that Change’s history extends beyond the group’s most famous alum. Strongly Recommended.